A medical physicist from Manila received the 2017 Miss Philippines-Earth crown in ceremonies staged at the SM Mall of Asia Arena in Pasay City on Saturday evening. Karen Ibasco, 26, bested 39 other aspirants to the receive the title from her predecessor Loren Mar Artajos. Karen is now in a perfect position to work on her advocacy and at the same time bring this issue to light—more than ever. Right after her win, she posted on Instagram thanking each and everyone who supported her in this journey. She committed to giving her all in representing the country and “to continue the legacy of what Miss Earth is all about.” She even shared how excited she is to shout “Karen Ibasco, Philippines,” for the upcoming international Miss Earth pageant happening in November. She is under the Kagandahang Flores Camp. In her Road to the Miss Earth 2017 Crown, she managed to deliver a sandwich victory for the Philippines by being the fourth Filipina Miss Earth winner. Last edited by lesham on Fri Nov 10, 2017 3:24 pm, edited 2 times in total. She is one very smart lady. I won't be surprised if we will AGAIN win the Ms.Earth crown for the 4th time. Judging from the way she speaks and what comes out from her brains the other delegates will have a NOSEBLEED bwahahahaha I am just wondering how come she didn't even make it to the top 10 in Bb.Pilipinas 2016? If we are to replace one of the winners in Bb.Pilinas 2016 for Karen, who do you want to replace? -- any of the runners-up or maybe Joana Eden? what do you think? 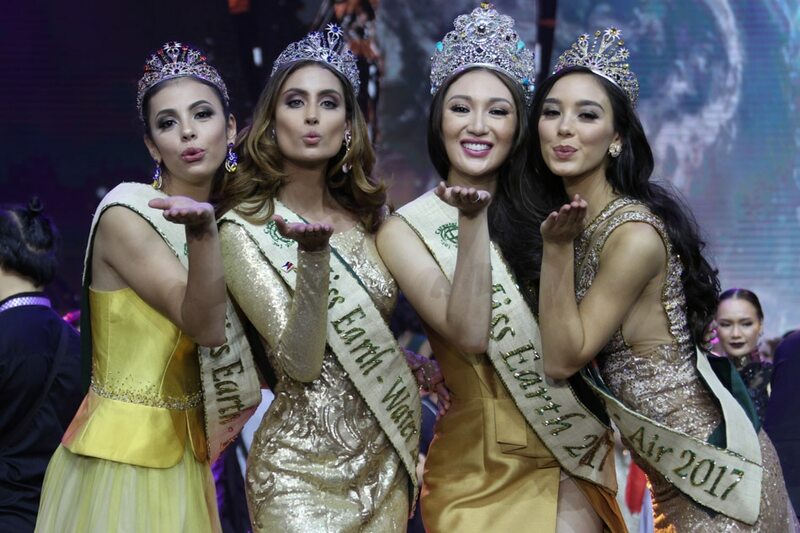 I think Ms.Earth is the right pageant for ladies who are not facially and physically at par but with very strong communication skills and smart brains. AGREE? SisterStella wrote: She is one very smart lady. I won't be surprised if we will AGAIN win the Ms.Earth crown for the 4th time. Judging from the way she speaks and what comes out from her brains the other delegates will have a NOSEBLEED bwahahahaha I am just wondering how come she didn't even make it to the top 10 in Bb.Pilipinas 2016? If we are to replace one of the winners in Bb.Pilinas 2016 for Karen, who do you want to replace? -- any of the runners-up or maybe Joana Eden? what do you think? This is by far her best look. Keep this up. She's not bad-looking at all. And she's smart and charming! A medical physicist? Wow. It seems that credentials are highlighted in this year's pageants. Too bad the one from the USA for the Miss Universe is fake. She has a big chance of winning. She may not be the conventional "beauty queen" face, but she's definitely pretty. I'm pretty sure she could give us another elemental crown or Miss Earth crown. TOP 16 AND IN CASE SHE REACHES TOP4, AN ELEMENTAL CROWN WOULD BE OKAY. WTF WITH THAT NOSE? I CAN SEE HER NOSE FROM 100000KM AWAY! MissPhilippinesEarth 2017 KAREN IBASCO and MissPhilippinesEcoTourism 2017 VANESSA MAE CASTILLO with BbPilipinas-International 2017 MARIA ANGELICA DE LEON during the Miss Bohol 2017 coronation. Beauty and brains. A very deserving queen. 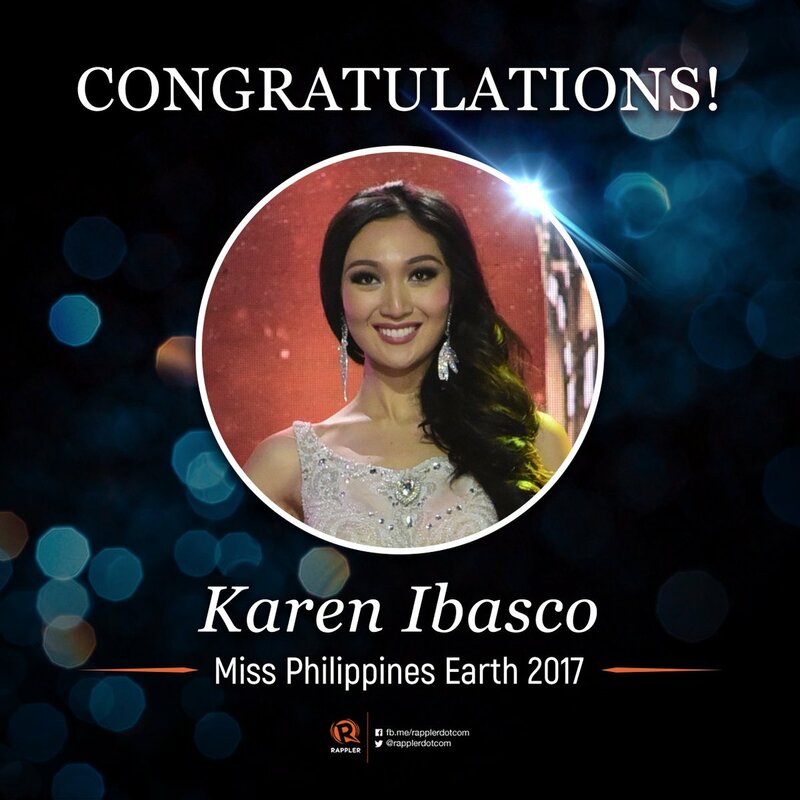 There was a buzz recently regarding Miss Philippines Earth Karen Ibasco when she was featured on the Department Of Finance press release for TRAIN (Tax Reform for Acceleration and Inclusion Act). Natuarally I had to reach out to Karen and ask her to tell us more about it. Here was she had to say: “I was invited by the DOF for the Senate hearing to say about the environmental aspect of carbon tax since the TRAIN is on-going there is a section about the excise tax on petroleum products and this is a form of carbon tax. The medical physicist-slash-practitioner has been a supporter of alternative energy sources. It can be remembered that during the Miss Philippines Earth pageant she was already advocating for the Carbon Tax so that the country would start investing on more renewable sources of energy. Investing on renewable sources of energy would allow the country to lower its carbon emissions/ carbon footprint. This would mean that the Philippines wouldn’t be too dependent on oil and would be able to augment or even self-sustain itself on clean renewable energy. Even as of writing, Karen’s schedule is packed with numerous speaking engagements and school tours advocating about the Miss Earth’s cause. 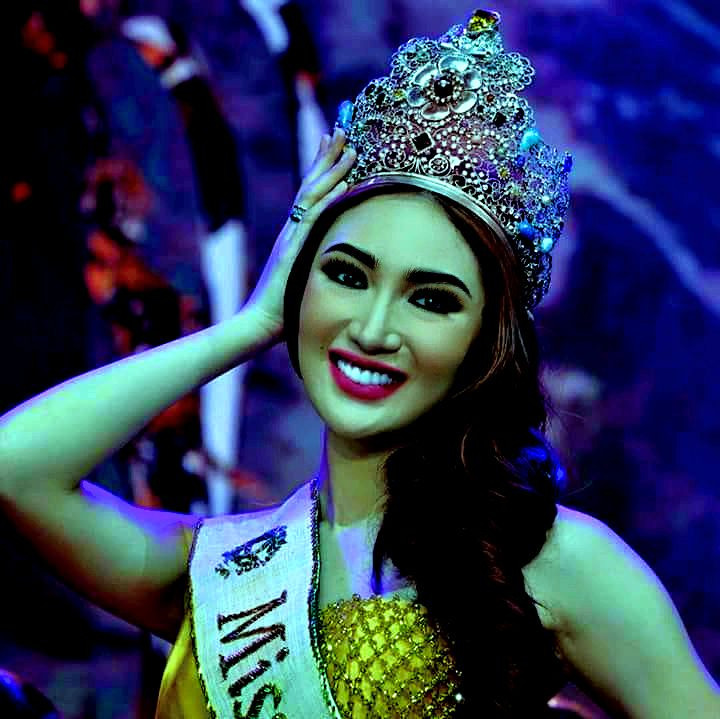 Truly, she takes the pageant’s advocacy to heart. Message: Yes this is me! Sa lahat ng Kandidata natin ngayon si Karen pinaka Winner na winner ang datingan.